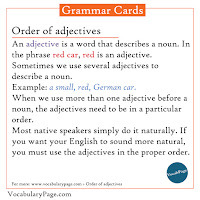 An adjective is a word that describes a noun. In the phrase red car, red is an adjective. Sometimes we use several adjectives to describe a noun. Example: a small, red, German car. 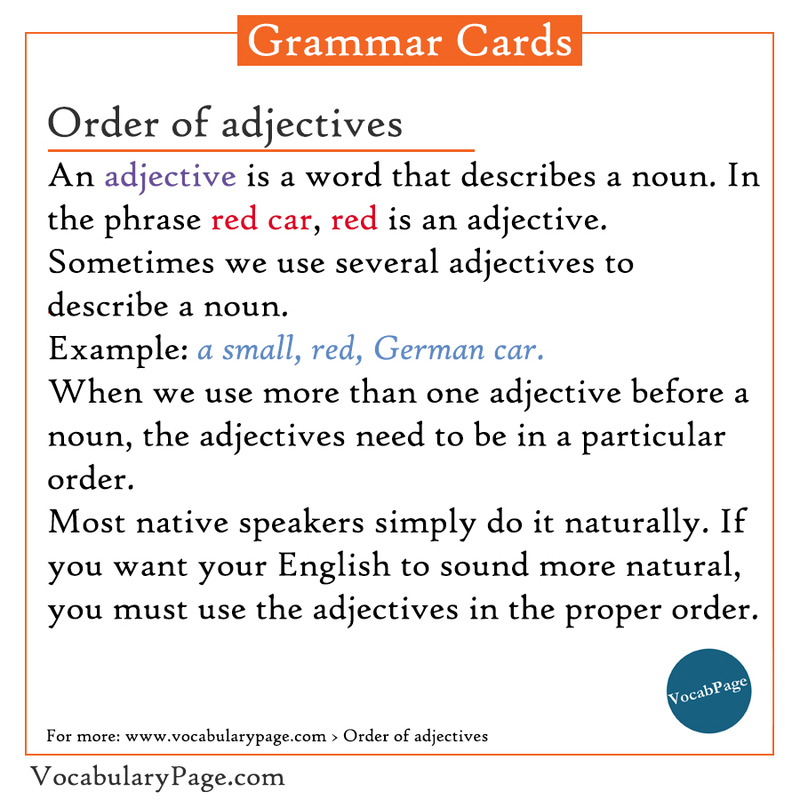 When we use more than one adjective before a noun, the adjectives need to be in a particular order. Most native speakers simply do it naturally. 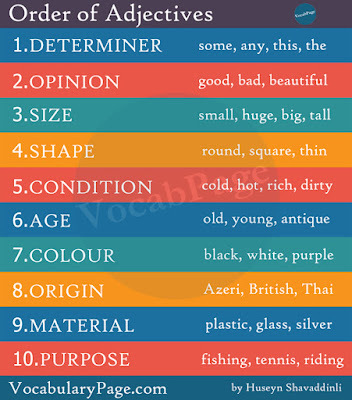 If you want your English to sound more natural, you must use the adjectives in the proper order. 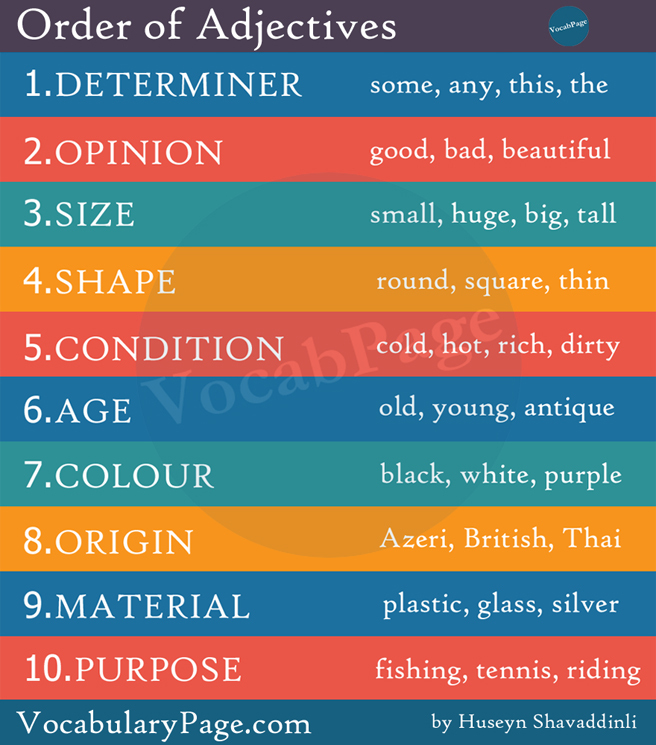 Determiners usually come before adjectives. 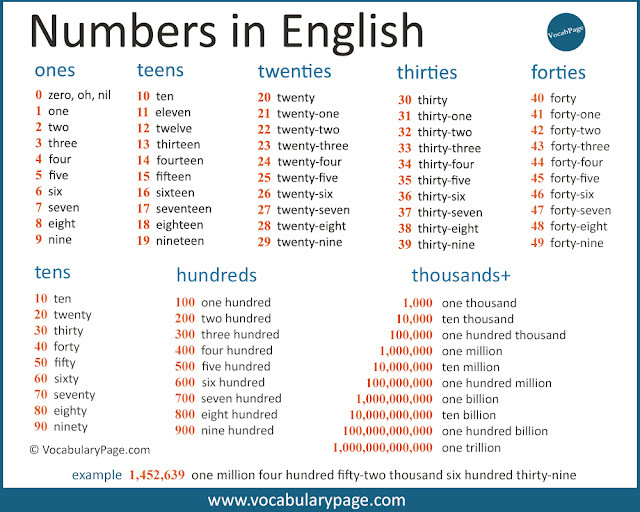 Articles (a, the), possessives (my, his, her, its), demonstratives (this, that, these, those) and numbers (one, three, five) are determiners. Opinion is what someone thinks about something. 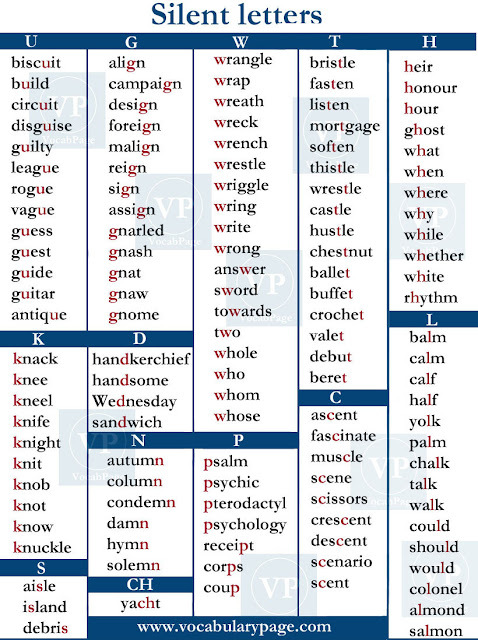 These adjectives always come before fact adjectives. 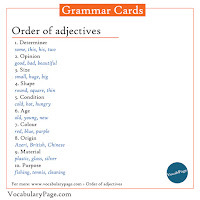 Fact adjectives give us true information about something. For example, they tell us how old someone is, or where something is from. We can use several fact adjectives before a noun. In this case, we put them in a particular order. 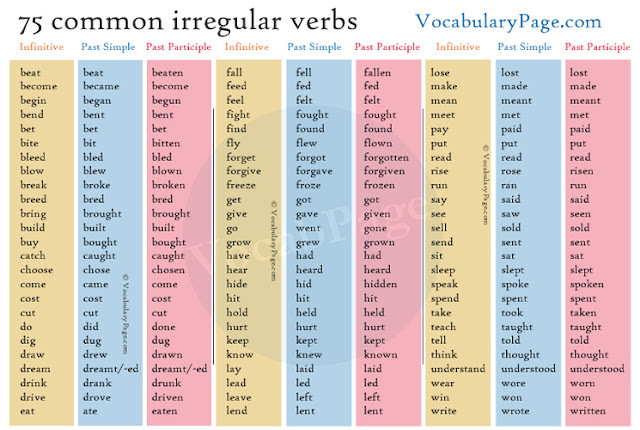 The table shows the standard order of fact adjectives. 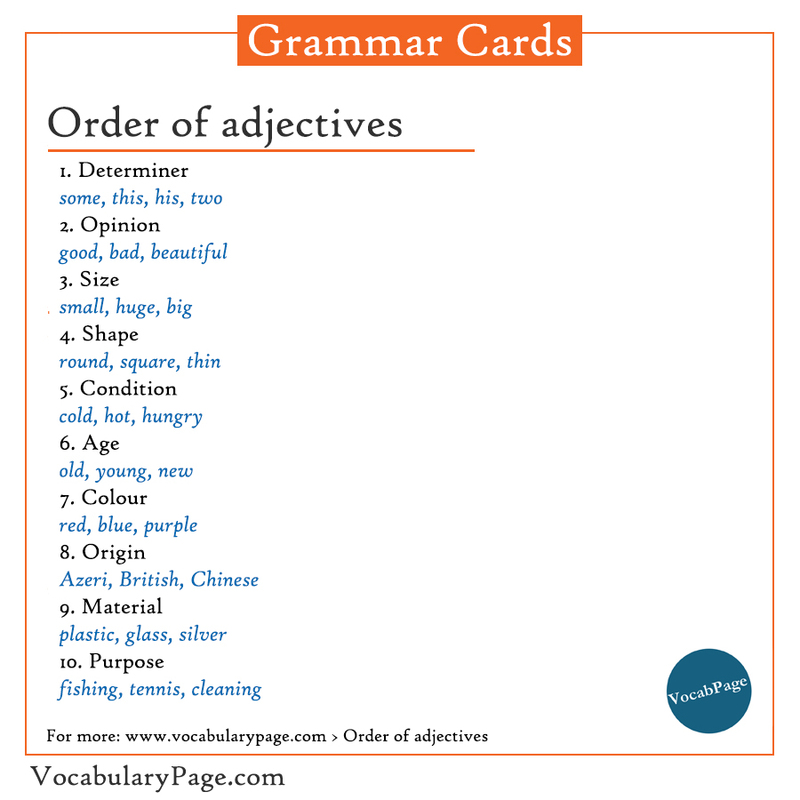 This page is quite helpful to learn adjectives, there are so many types of adjectives in English language world.